At Crown Dental Group we are transforming smiles with state of the art digital dentures. Combining the most advanced technology and state-of-the-art denture treatments, Rowville’s leading dental prosthetist can help restore your smile with our new digital dentures. We have come a long way from conventional dentures. At Crown Dental Group, we’re proud to be one of the few places in Australia where you can get the full digital denture experience. Digital Dentures are a new system for the manufacture of removable dentures. Designed with state-of-the-art CAD software technology, your digital denture will be precision made using our state of the art milling machine to fit your dentures perfectly. This means we can provide better quality dentures, using high quality materials to achieve perfect alignment and ultimate comfort. When creating a perfect smile the team at Crown Dental Group will address every element of your smile and oral health. Our meticulous planning ensures that every patient receives a beautiful, functional smile they can be proud of. How do digital dentures work? Digital dentures are precise and functional with a few simple steps performed by the team at Crown Dental Group. Firstly, impressions will be made of your teeth. Information gathered is then transferred into our state-of-the-art CAD software for the dentures to be designed. Tooth bases are then automatically adapted to the alveolar ridge. The denture teeth will enter the basal adaptation process and the wax base for the teeth will be milled. 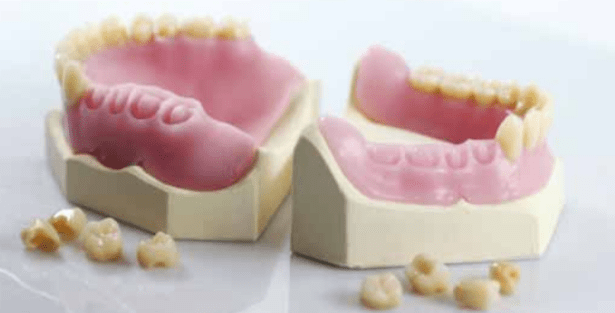 Finally, your denture teeth are connected to the wax base and are given to you to test control and functionality. How much do digital dentures cost? 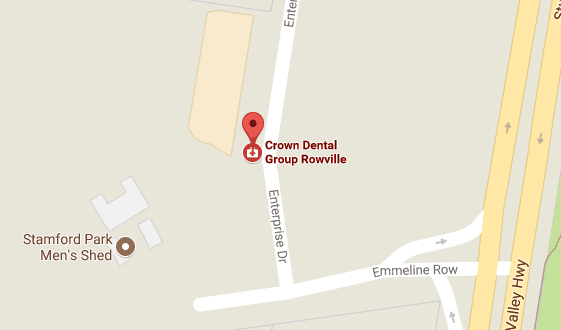 At Crown Dental Group we understand that our patients are seeking unique and individual results. Therefore, the cost of digital dentures can vary from patient to patient. To find out more or to book a consultation with our dedicated team of professionals call our practice on (03) 8288 1477. When visiting Crown Dental Group for dentures, each digital denture design is patient-specific. It’s just how we do dentures at Crown Dental Group. The team at Crown Dental Group are passionate about providing their patients with high quality service and education on their oral health. If you are looking for a smile that is beautiful on the surface and healthy at the foundation, we can help! Contact the team at Crown Dental Group today to book a consultation and be one of the first to try our digital dentures.